Replicate B2B product data from the SAP ERP to SAP Hybris Commerce using Application Link Enabling (ALE) and the IDOC Interface technology. 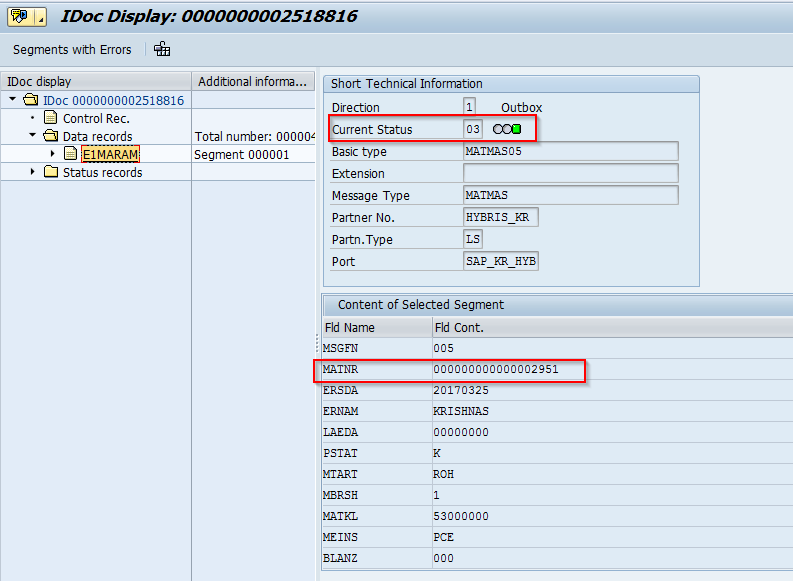 Before following below steps please check whether sap-integrationsystem-configurations are done. Creating a sample product (material master). which consists of few fields that contain the basic information on our material. Select the Check Mark,You can see an option button on the screen below for selecting all views (rarely used in a productive environment). Enter Organizational levels for the views we selected in the previous step.For example, those could be Plant, Storage Location, Sales Organization and Distribution Channel etc. It will create material, give the description,base unit of measure and material group. Now click on save, material 2951 is created. 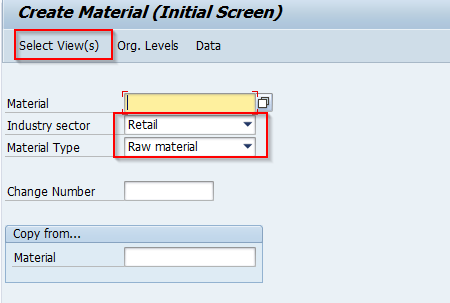 Settings for Product Master Data Replication in HMC. In the Product Settings for Data Hub section,right click in the Mapping Sales Areas To Catalogs table and choose “Create Mapping Sales Areas to Catalog”. Check if the ”Start Upload” button is inactive. 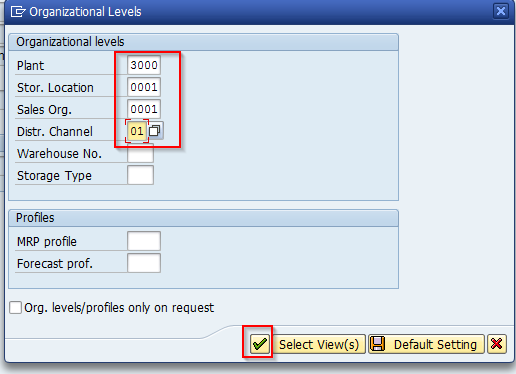 If the button is inactive you have to generate an instance of the SAPAdministration type first. 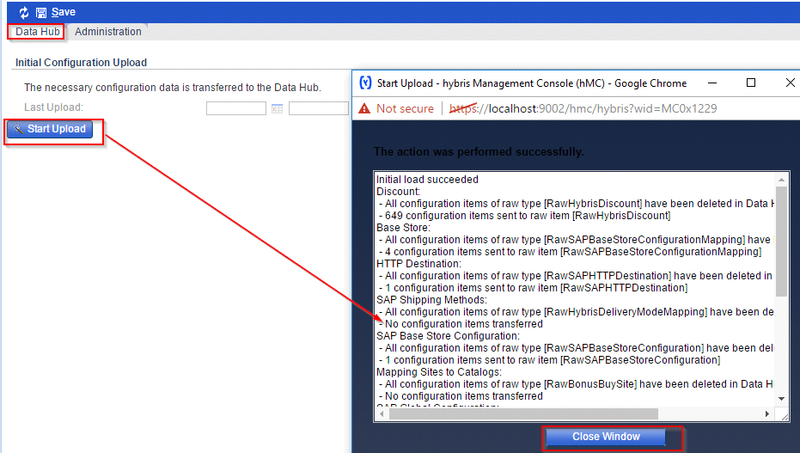 Go to HMC SAP Integration -> SAP Administration -> Data Hub tab. Go to HMC System -> Types section and search for the SAPAdministration type. Click the identifier field,click on search. Now double click on the SAPAdministration type and click on the “Create instance” button. now we can see the start upload is in active condition.after click on save button. Click on start upload button to transfer the SAP Global Configuration to Data Hub. Go to ERP system and Display Distribution Model (transaction BD64), Click on edit mode, choose create model view. Enter the following values:Short text=SAP ERP to hybris Technical name=HYB_PRO_KR Validity dates=Leave the default values. We will define which systems we are communicating with, and what data (Message Type) we are sending or receiving from/to them. Click on SAVE button and now we will able to see the details we have created. Replicate Initial Product Master Data from SAP ERP to hybris and Go to TCODE BD10 enter the following values to send the SAPHYB_PROD Material to hybris: Material=2951 Message type=MATMAS Logical system=HYBRIS_KR Send Material in Full=unchecked,click execute. To check the IDOC status go to TCODE WE05/02. Check the hybris Server log to see if the resulting Impex was successfully imported,Check the console that the type Base Product and Sales Product is successfully imported. Go to the HMC in Catalog -> Products and then click on the Search button to see all the Base Products available. 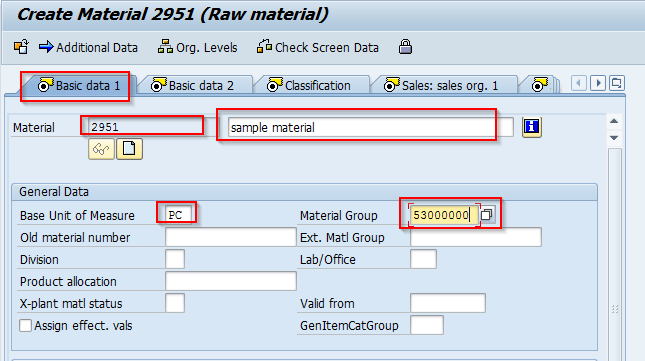 You should see the 2951 material(Product) as it was replicated from SAP ERP as a Base Product. 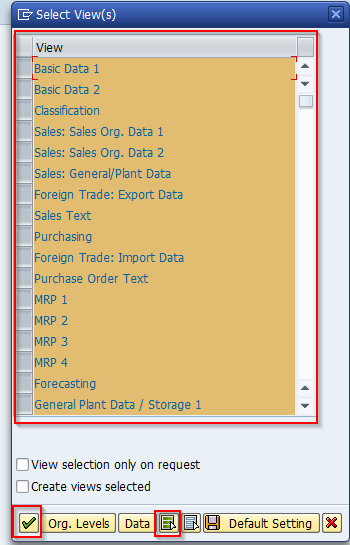 Double click on that product and change catalog version as ERP_CLASSIFICATION_300_ERP_IMPORT, Click on save. We completed product replication from SAP ERP to Hybirs system. Great blog Krishna ! does the datahub have to be installed prior of these configurations?